Both Galera and Group Replication provide clustering solution with virtual synchronous replication. The different replication technologies used by these two products ensure that data is replicated, consistent and safe and that several failure scenarios can be handled maintaining high availability. Although the database layer is highly available, applications rarely know the status of the various nodes in the cluster, therefore sending traffic to the wrong node(s) in a degraded system can lead to a high error rate. ProxySQL has the ability to regularly check the status of the various nodes in the cluster, and determine which nodes are healthy and where to send traffic. 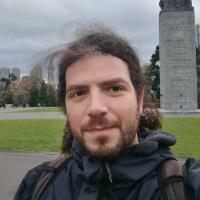 This session will present how to configure ProxySQL as a middle layer between the application and a clustering solution with either Galera or Group Replication, what algorithms are used to route traffic to the right node(s) and ensure that high availability is achieved even in case of degraded cluster conditions.